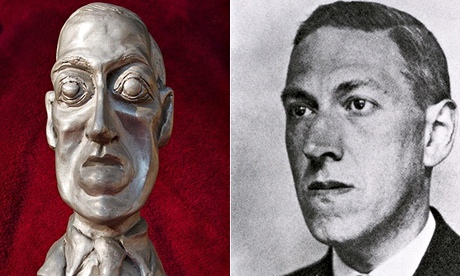 On Sunday, November 8, the World Fantasy Awards  announced that their prize bust would no longer bear the image of H. P. Lovecraft. 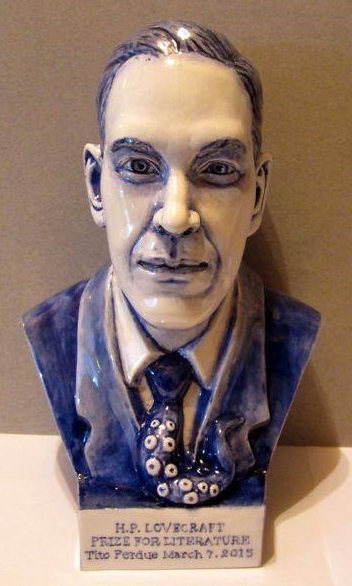 Lovecraft, of course, was chosen for the honor because he is one of the giants of science fiction and fantasy literature. But he was also a racist and xenophobe, and this is The Current Year, so Lovecraft must be purged to spare the feelings of lesser men. Last year, we at Counter-Currents saw this coming . Thus we have created the Counter-Currents H. P. Lovecraft Prize for Literature, to be awarded to literary artists of the highest caliber who transgress the boundaries of political correctness. Our first laureate is novelist Tito Perdue, who received the award at a banquet in Atlanta on March 7, 2015. 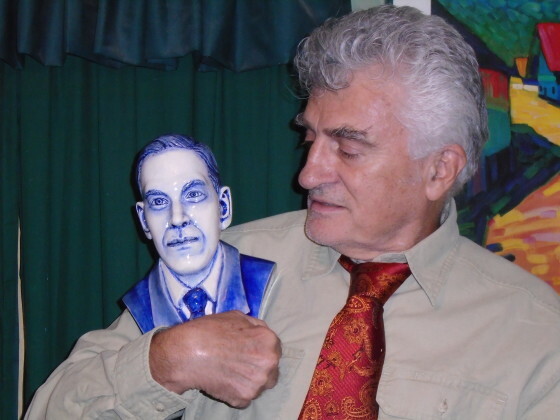 The prize bust is by world-famous porcelain artist Charles Krafft , whose own defiance of political correctness has just led to the cancellation of an exhibition in London . As the Left continues to hollow out and destroy institutions, corrupt minds and culture, and denigrate white greatness in art, science, statecraft, and the culture at large, Counter-Currents and other New Right organizations will construct new institutions and honors to carry forward the greatness of European man. For us to carry on, however, we depend on the donations of readers like you. Please visit our Donation page  today.